By adding cycling to your fitness routine at American Family Fitness you will quickly become the most fit you’ve ever been. Cycling improves strength along with cardio, so it's the perfect fitness activity! It is time to spin your way to health. Cycling at our gym in Mechanicsville offers energetic instructors, and fun, pace-setting music. You will climb and descend mountains, race over flats, and roll over hills. Get on the bike and race your way to better aerobic health. You'll strengthen and tone muscles, too, as your legs give it their all. Cycling at our gym in Mechanicsville is here to show that cardio can be fun and dynamic! Our instructors are energizing, and with fun, motivating music you are able to give it your all. Be ready to race up and down mountains, speed over flats, and roll over hills. Spin your way to a new you. We offer several cycling classes throughout the week for your convenience. 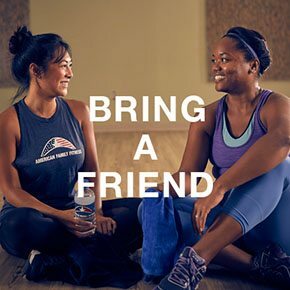 Classes include freestyle cycle (that are either 30 or 45 minutes), Ride and R30. 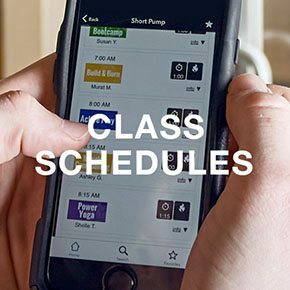 Visit our Class Schedule page to see what works best for you.